Check out this week’s quick overview of what is making headlines in the cancer space. 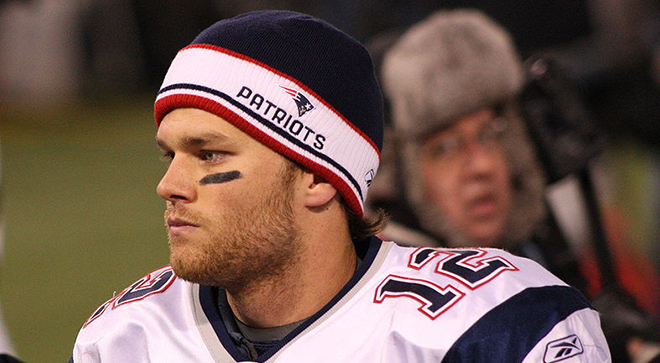 Tom Brady shaved his playoff beard to help raise money for charity. Among the charities, the six-time Super Bowl champion donated $35,000 to the Dana Farber Cancer Institute in Boston. Nina Garcia – editor in chief of Elle magazine and a “Project Runway” judge – will undergo a preventative double mastectomy. Garcia discovered she was BRCA1 positive in 2015 and has since undergone regular mammograms and breast checks. However, in conjunction with her doctors and finding support within the BRCA community, she decided to go through with the preventative surgery. “For the first time in years, a dark cloud lifted, and I felt a sense of relief and clarity about my choice,” Garcia wrote in a personal essay in Elle. A best-selling thriller author, Dan Mallory, has admitted he lied about having cancer, and that his mother died of the disease. Mallory – whose novel “The Woman in the Window” was published in January 2018 under the pen name A.J. Finn– in fact, was never diagnosed with cancer and his mother, who was treated for the disease, is still living, the Los Angeles Times reported. "It is the case that on numerous occasions in the past, I have stated, implied, or allowed others to believe that I was afflicted with a physical malady instead of a psychological one: cancer, specifically," the author issued in a statement. "With the benefit of hindsight, I’m sorry to have taken, or be seen to have taken, advantage of anyone else’s goodwill, however desperate the circumstances; that was never the goal." Former representative John Dingell passed away Thursday from metastatic prostate cancer. Dingell, the longest serving member of Congress on record when he retired in early 2015 after 59 years in office, passed at the age of 92 at his home in Dearborn, Michigan. “He was a lion of the United States Congress and a loving son, father, husband, grandfather, and friend,” the office of his wife, Rep. Debbie Dingell, D-Michigan, said in a statement. “He will be remembered for his decades of public service to the people of Southeast Michigan, his razor sharp wit, and a lifetime of dedication to improving the lives of all who walk this earth."